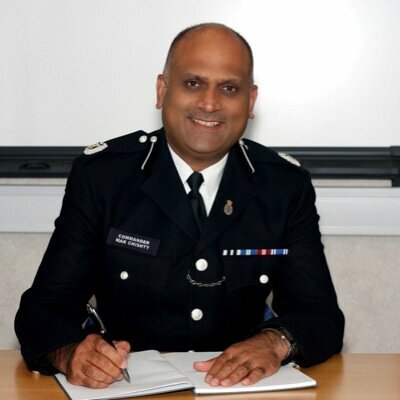 LBFN’s Crime, Community Safety and Security social lab had an excellent and wide-ranging exchange with the new Commander for Engagement in the Metropolitan Police Service, Mak Chishty, on Monday 7 July. Contributions from Islington, Hounslow, Enfield, Lambeth, Kingston, Harrow, Tower Hamlets, Redbridge and Merton showed the range of good work undertaken by local faith forums in engaging with the police. They also highlighted the challenges in sustaining relationships over time. Commander Chishty shared with us his initial thoughts on engagement and the work already underway, which includes local mapping, a listening campaign, special summer events and borough engagement plans. His SHINE approach encourages relaxed and informal relationships to develop between police officers and the public. With the change from the Metropolitan Police Authority’s Community-Police Engagement Groups to the Mayor’s Office for Policing And Crime’s Safer Neighbourhood Boards, there is some uncertainty over structures to support engagement. Progress seems to be uneven across London. LBFN members were asked to contact their Borough Commanders (details for each borough here) to initiate conversations which will lead to the inclusion of religious communities in the new borough engagement plans. The emphasis was on sustained relationships with multifaith groups, churches, mosques, temples, synagogues and gurdwaras, which all offer strong social networks, local knowledge, expertise and organisational memory. LBFN’s Crime, Community Safety and Security social lab at New Scotland Yard. People from seven religious traditions took part. We will organise a follow up meeting in due course. This entry was posted in Crime, Community Safety, Security & Local Resilience, Enfield, Harrow, Hounslow, Islington, Kingston upon Thames, Lambeth, Merton, Redbridge, Tower Hamlets and tagged Commander Mak Chishty, New Scotland Yard by Catriona Robertson. Bookmark the permalink.